Architectural and natural open-air museum. The Museum recreates the image of Russian village and shows the way of life of Russian peasants. Within the Museum the chapels and churches of the VI-VIII centuries, and also peasant and household buildings are presented. The furniture, collected in expeditions, house-hold utensils and other significant things that made up the peasant’s way of life at that time. The two-story house of the first quarter of the 19th century, built for Countess A. Orlova-Chesmenskaya, houses a stationary exhibition entitled "Folk Art of the Novgorod Region." The monument of Russian architecture of X-XVII centuries. The ensemble of buildings makes the walk round the Kremlin pleasant and fascinating. The Kremlin was the nucleus and the heart of the ancient town, made its silhouette and planning. 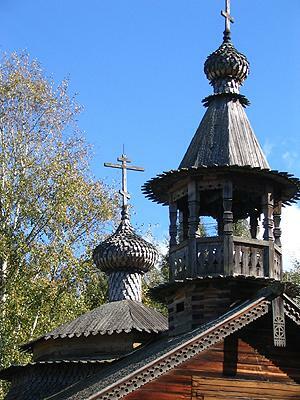 The oldest dressed stone church of Russia (1045-1050). 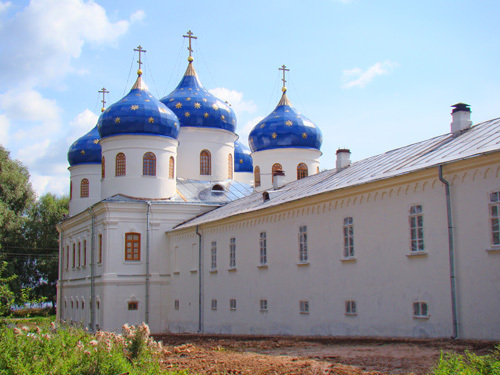 Prince Yaroslav the Wise laid the foundation and his son Prince Vladimir built it as the church of the whole city. Architects from Byzantium and Kiev who erected that main and the only cathedral in the city in the XI century, showed the essence of Novgorodian character that is: restraint, verging on severity, scale of intentions and power. Founded by Yaroslav the Wise in Xi century. Is situated in 4 km. from Novgorod, on the bank of the Ilmen Lake. In 1989 was handed to the Novgorodeparchy and functions more that 10 years. On the territory of the Monastery St. George Cathedral is situated- the unique monument of architecture of XII century, served as a sepulcher for the princes. 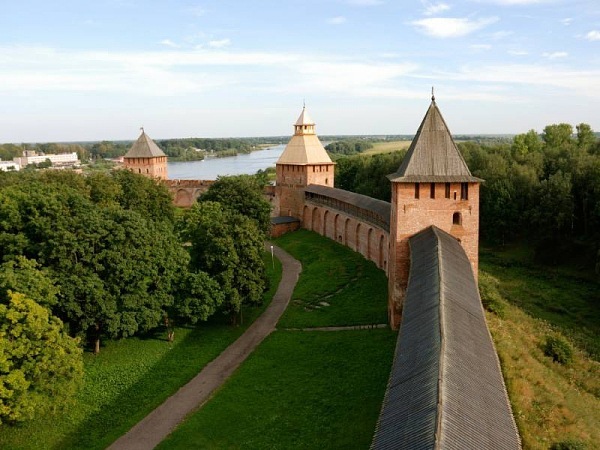 Veliky Novgorod, one of the oldest towns in Russia, is located on the place where the Volkhov River flows out of Ilmen Lake. A special way of life, spiritual freedom and territorial autonomy contributed to the development of arts and culture.